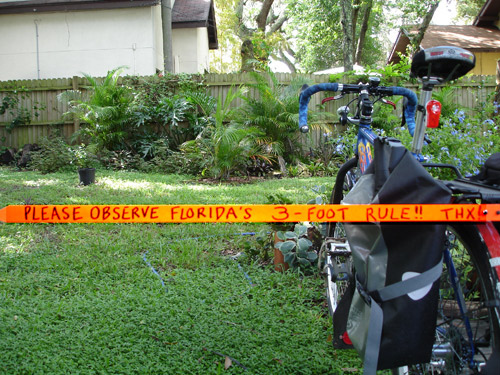 Recently, a friend who works in a bicycle-related job showed me a letter he had received from another cyclist, along with two orange cloth arrows about a foot in length. The letter writer stated that much of his riding was on two-lane rural roads (one lane each way), many with no usable shoulder. Motorists very rarely more than touched their left wheels on the double yellow line to pass him. So he created these arrows and wore one on the back of his jacket, pointing to the left. He claimed that the difference he got in passing distance from motorists was incredible since he started wearing it, and wanted to share his great idea. Many of us have seen photos on social media of cyclists with similar motivations. 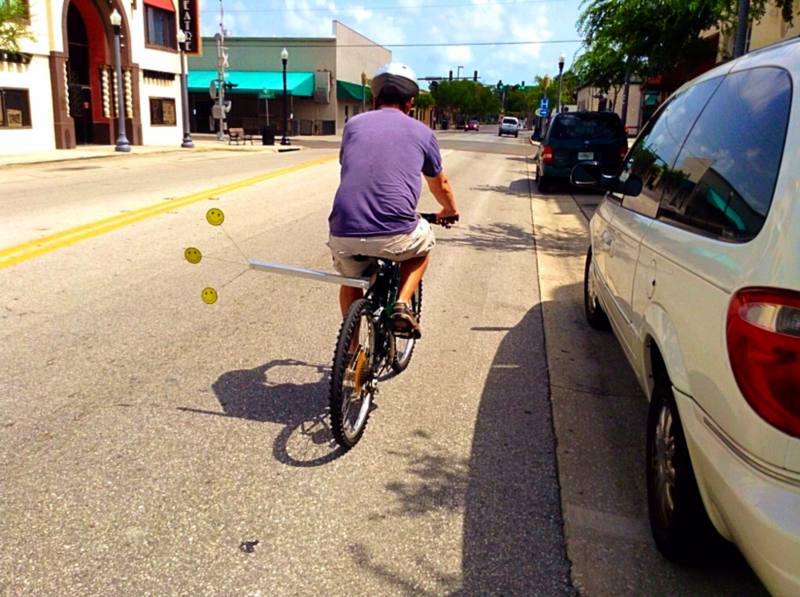 Some have gone so far as to mount on their bike some kind of stick with a flag on the end, pointing left, to ensure motorists give them their legally required three feet of passing clearance. I don’t want to outright dismiss these well-meaning and original attempts at a solution. Fear of traffic is real. Many cyclists do struggle with getting adequate passing clearance. Maybe these devices do some good. They certainly get noticed. Since I started wearing this, almost all the cars that pass me give me plenty of room, some even going almost completely over the double yellow line! My immediate response when I read that was: But I get that behavior too, without wearing a flag on my back! I do usually wear a hi-viz jacket, and use lights at night and in some daytime bad-weather conditions, but that’s about it. No arrows, no sticks, no noodles. Great passing was not always the norm for me. In my early days of commuting, I remember some terrifying close passes. Nowadays, it’s rare that a motorist doesn’t move at least halfway over a double yellow line to pass me, assuming there is no oncoming traffic. Many change lanes completely to pass. What’s different? I believe the difference is almost entirely due to my behavior, in two ways. First, I often use more of the travel lane now than I used to, even if I’m not completely controlling it. One of the first pieces of good advice I got about traffic cycling — from an internet forum no less — was that the farther you ride from the edge of the road, the better passing you get. It’s counter-intuitive, but it works! Why? I don’t know for sure, but I have some theories. It was suggested that you tend to get a similar amount of room on your left as you have left yourself on your right, and that is also my experience. Maybe people tend to picture you as if you were centered in a lane, with equal space on both sides, even if you’re really not. I have no idea if that’s really the reason. Probably a better explanation is CyclingSavvy’s teaching about the importance of relevance. When you ride very close to the edge, not only are you less noticeable, but even if you are seen, you are not perceived as relevant. Motorists approaching from behind, even when they see you, are more likely to assume there’s room to pass, so they don’t slow down or move over right away. When they’re closer, they may realize there could be a problem. But by then, they have less time and room to react, especially if they feel pressure from additional traffic behind them. So they decide they don’t have any choice but to pass. 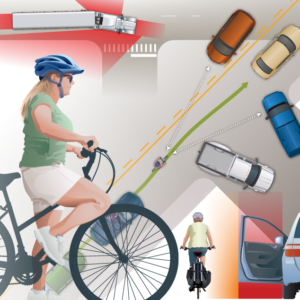 The second related behavioral change that I’ve made over the years is implementing CyclingSavvy’s advice on “control and release.” I don’t think I even realized early in my cycling career that my closest passes came when there was oncoming traffic. I was just squeezing myself to the edge all the time, without regard to the situation! 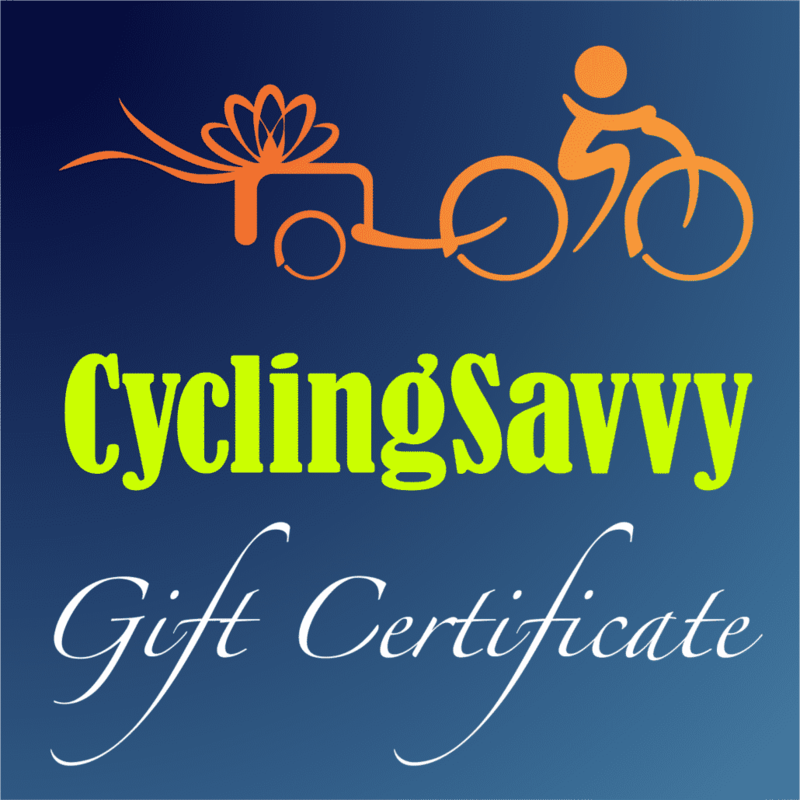 CyclingSavvy taught me that it was not only possible, legal, and safe, but that it isn’t even rude to control your lane in situations where the road is too narrow to be passed safely. When you’re a mindful bicyclist who monitors the traffic situation and sees when it would be unsafe to allow yourself to be passed, you can simply use a lane position that does not allow it. Voilá! You’ve just eliminated the most extreme unsafe passing situations! When it becomes safe to pass, you can move slightly right again to encourage it (but still far enough into the lane to get your good passing distance), and maybe give a little head nod or thank-you wave to acknowledge the driver. If they’ve had to slow down and wait for a chance to pass, in most cases they give you plenty of room once they are able to! Sometimes, it’s just not safe to allow yourself to be passed. 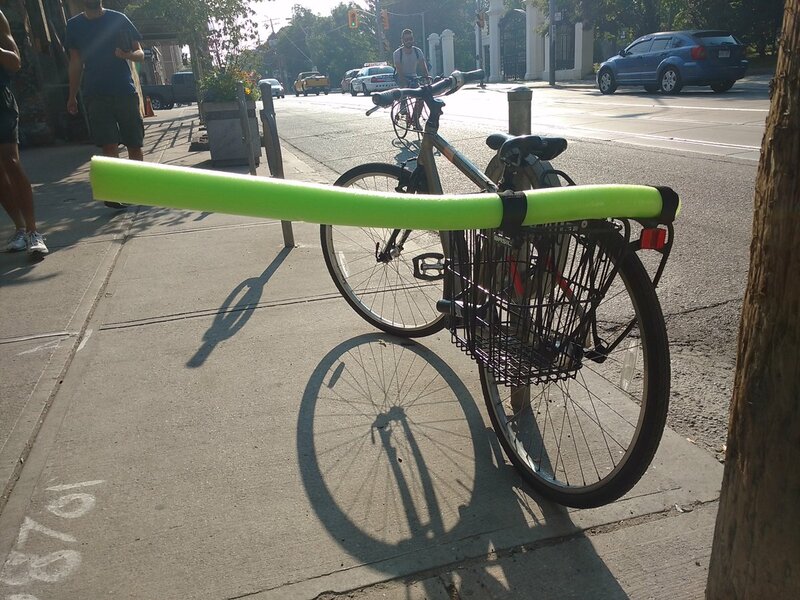 I’m convinced that most people really want to do the right thing by cyclists, but it’s easy for them to make a mistake. They assume there’s room when there’s not, or they just don’t plan ahead. They are not helped when the cyclist hugs the edge and does not communicate at all, leaving the motorist wondering if they should pass or not. Naturally, some of them are overly-optimistic. I don’t know the cyclist who sent my friend this letter. If I had to, I’d guess that he’s not very assertive in his lane position, but I obviously don’t know that for sure. I know from my own experience that some rural roads here in Maine do tend to have more aggressive motorists than others, and that is challenging. 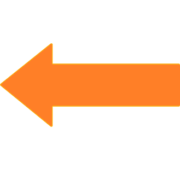 But if that orange arrow is really working for him, I’ll bet that more assertive lane positioning would, too. Maybe someday we’ll get to meet and talk about it.